I hope that gives you a flavour of some of the biblical basis Durham adduces for the free offer of the gospel. Fifthly, Get this principle riveted in your hearts, That the want of preparations or qualifications that many men lay great stress upon, shall be no impediment to hinder your soul’s interest in Christ, if you will but open to Christ, and close with Jesus Christ. Rev 3:20, ‘Behold I stand at the door and knock: if any man hear my voice, and open to me, I will come in to him, and will sup with him, and he with me.’ Pray tell me at whose door was this that Christ stood and knocked? Was it not at the Laodicean’s door? Was it not at their door that thought their penny was as good silver as any? that said they were rich and had need of nothing, when Christ tells them to their very faces, ‘that they were poor, and miserable, and blind, and naked.’ None more unprepared, and unfitted for union and communion with Christ than these lukewarm Laodiceans; and yet the Lord Jesus is very ready and willing that such should have intimate communion and fellowship with him. So we see an evangelistic or conversionist use of Rev 3:20 in yet another Puritan and also we see Brook’s denial of “preparationism”. None of this is to denigrate the importance of preaching the law or of conviction of sin – but neither of these is the warrant of faith. 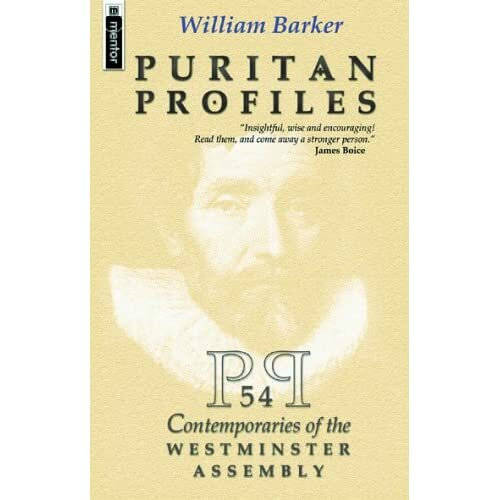 William Greenhill (1597/8-1671) was a famous and influential Puritan minister. He was one of those at the Westminster Assembly who argued for an independent system of Church government as opposed to Presbyterianism. Poor ecclesiology aside 🙂 he says a number of helpful things, particularly relating to the free offer. 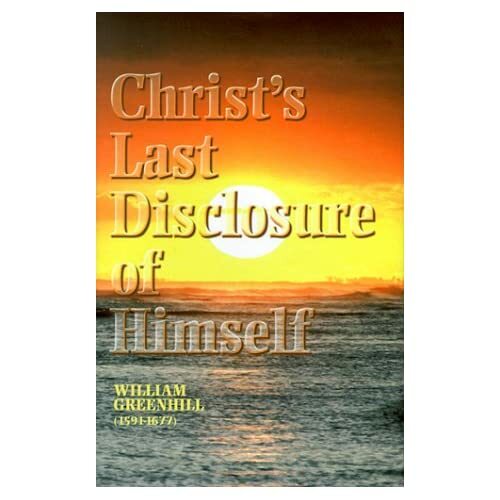 He has one work in particular dealing with the free offer which has been reprinted by Soli Deo Gloria as Christ’s Last Disclosure of Himself – it is a series of sermons on Rev 22:17 (Morgan: Soli Deo Gloria, 1999). What I want to do is post on one small section of a sermon entitled “Christ’s Willingness to Save Sinners”. [I will post more on this book at some point in the future]. Greenhill begins the section by noting that “it lies in the hearts of all sinners to question the willingness of God and Christ to save them and do them good” (p130). He expands on the implications of this, “And here lies that which sticks with sinners, to question the willingness of God and Christ” (p131). Again we see the pastoral importance of the well meant offer. It is only an articulation of a well meant offer of salvation that can answer such concerns. Greenhill proceeds, “Now Christ is very willing that sinners should come unto him, and I shall make this out in several ways.” He lists 15 ways Christ shows this willingness. I’ll cover some of them this week, and some next week. Evidence 5 is particularly interesting. We know Christ is willing to save us, because he commands us to come to him. “This [willingness] appears from the commands of Christ. When a thing is commanded, those who command would fain have it done. Now the Lord Christ commands men to come unto Him. He commands them to believe… so when God the Father and Christ the Son command us to believe, they are very willing that we should do so. When princes send out their commands to the people to do such and such things, they are very desirous that they should be done. So when God gives out His commands in the gospel, and when Christ commands men in the gospel to come, it is an argument that there is a strong will in Him for it to happen” (p135). But is the gospel merely command – a presentation of some facts i.e. those who believe are saved and those who do not believe are damned? Not for Greenhill. Evidence 6 of Christ’s willingness to save sinners is, “Does not Christ sweetly invite you, and use sweet invitations and allurements to draw sinners to Him?” One of the texts Greenhill uses to illustrate these “sweet invitations” is Rev 3:20. (Yes, this is another Puritan using Rev 3:20 evangelistically! I don’t understand the aversion some modern “Puritans” have to the evangelistic use of this text.) Commenting on this text, Greenhill says, “What sweet invitations have we from Christ! How forward, how ready is the Lord Jesus to do poor sinners good!” (p137). So is the gospel a command? Yes, but we must not forget it is a “sweet invitation” as well! So two evidences down – only 13 more left 🙂 I’m going to be without internet access for most of the next week (how will I cope!) and it is a general family time in any case so responses to comments (which are always valued and very welcome) will be slower than usual.